Clay County, Missouri, saw a growth rate of 31 percent since 2000 and its population now stands at 242,874. 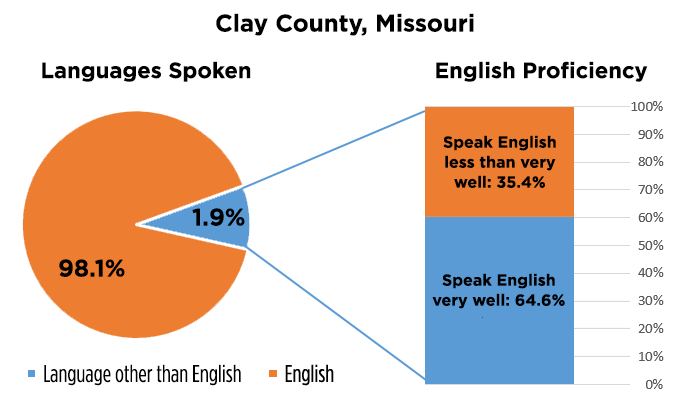 For more information on Clay County, please visit www.clayedc.com. Compared to the KC region, Clay County has a greater number of residents with high school diplomas, some college and associate's degrees. Bachelor degree attainment trends seem to be similar to the region. There are more than 111,000 jobs in Clay County of those 40,747 are held by Clay County residents, an additional 60,441 non-residents commute in to work. 79,062 residents work outside the county. 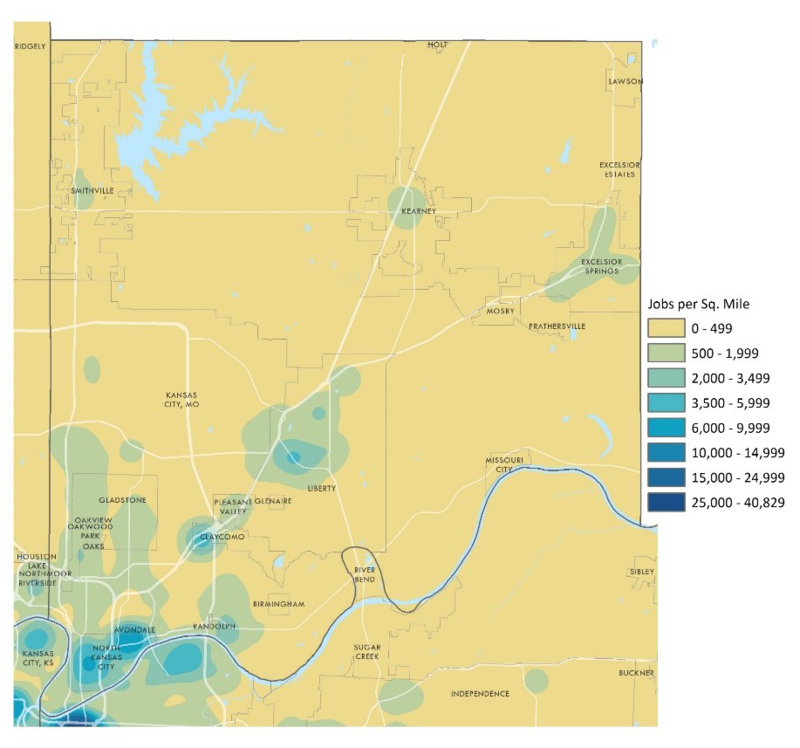 This map shows where large concentrations of employers reside within Clay County. Clay County's top 10 competitive industries are listed by their location quotient. A location quotient shows how the county compares in a particular sector to national numbers. A quotient of one means the county has the same percentage of its workers in that industry as the nation. A number below that means the percentage is lower than the national number, and a number greater than one means the county has a higher percentage of workers employed in that sector. On Jan. 2, 2019, there were 2,729 job postings in Clay County.